Intenze Tattoo Ink Bowery Ink Series - White As revolutionary leader in the global tattoo community, Intenze has partnered with Bowery Stan Moskowitz to produce a new series paying respect to his early days of tattooing. 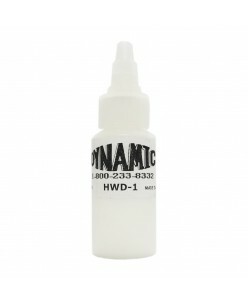 By combining historic tattoo tradition with modern day scientific improvement Intenze Tattoo Ink is ..
INTENZE TATTOO INK - BOB TYRRELL HIGH WHITE By combining historic tattoo tradition with modern day scientific improvement Intenze Tattoo Ink is great for any type of image, approach, or client. The Bob Tyrrell inspired black and grey pigment series was created to allow artists to reach a master level of realism, clarity, contra..
INTENZE TATTOO INK- SNOW WHITE MIXING A revolutionary leader in the global tattoo community, Intenze Products provides you with the future of tattoo inks now; you won't find a safer, more sterile or higher quality ink elsewhere. 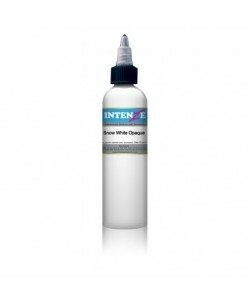 By combining historic tattoo tradition with modern day scientific improvement Intenze T..
Intenze Tattoo Ink- Gangster Grey White Silk A revolutionary leader in the global tattoo community, Intenze Products provides you with the future of tattoo inks now; you won't find a safer, more sterile or higher quality ink elsewhere. By combining historic tattoo tradition with modern day scientific improvement Intenze.. This white tattoo ink is a super high opaque white. 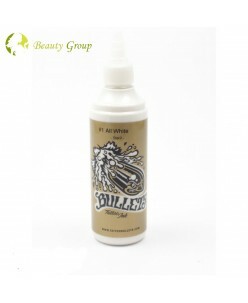 This is the best tattoo ink not only for those difficult large white areas but also those highlights you need. ..